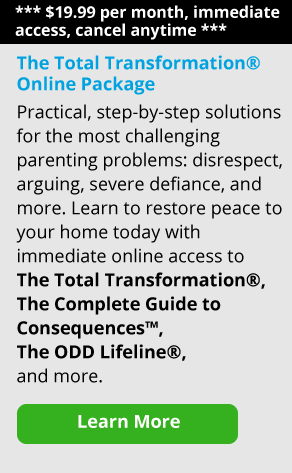 Parenting, Drill Sergeant Style: How to Stop Yelling? When I first discovered EP, it was through an old high school friend of mine who told me about the site. I’d just experienced another Category 5 Tory (my oldest) meltdown and I was on the edge of my last nerve with her. See, my oldest has had a significant amount of upheaval in her young life. In the 5 years she’s been on the planet, Daddy has been gone for more than half her life. Mommy was gone for 18 months of it. So she’s been fending for herself, more or less, and has some challenges in expressing herself. One thing I’ve learned through this trial of coming home from Iraq and learning to be a mom again is that when Tory is melting down over A, it’s actually about B — and possibly C. But whatever it is that sends her over the edge, it happens quickly, with little warning and it’s pretty near impossible to calm her down. But the problem is that we still try. And then we end up frustrated. And angry. So when all three of us are going off the deep end, something’s got to give. So I contacted my friend Sara and asked for help. The first thing she said to me? From reading my blog, she pointed out that I was probably a yeller. And that I needed to not yell. I needed to be calm when the kids were losing their minds. If you’ve read my blog, you’ll know that calm is not exactly in my vocabulary. I’m a soldier. I yell. I try not to yell at my kids, but what I failed to realize is that what I think is merely talking loudly, they see as yelling. And yes, I actually mean talking loudly. I’m a loud person. But my kids think I’m shouting at them. So I’ve had to practice not yelling. One thing I’ve started is explaining to the kids, “Hey, you don’t want Mommy to yell, right? So how about we start listening and doing what Mommy asked.” It sounds corny, but for whatever reason, they’re listening. And they’re working on it. Tory came up with the idea that they only get a responsibility sticker if they do something the first time I ask. If I have to ask more than once, they don’t get it. So far, that’s not working because I feel the need to reward them when they do well. But I think we’ll get there. The responsibility chart helps, too because it’s a tangible reward for doing something to help. Listening. Indoor chores. Brush teeth. Little things that when they do them, it makes life so much easier. Drill sergeant doesn’t work. So it’s time for this Army Mom to find a new path. Jessica Scott is an active duty army officer, one half of a dual military couple and full-time mom. She squeezes out time to write late at night or on her lunch breaks, such as they are. She blogged her way through Iraq in 2009 and you can read about her journey at Jessicascott.net. She is the mother of Mia(3) and Victoria(5) and is blessed to have good kids who've struggled through a rough time as military kids.